The Atlanta Braves cruised to a comprehensive 10-1 win against the Milwaukee Brewers thanks to Kevin Gausman. Atlanta tallied three runs in the first inning and added two runs apiece in the third and fourth to pull away at SunTrust Park in MLB on Friday. 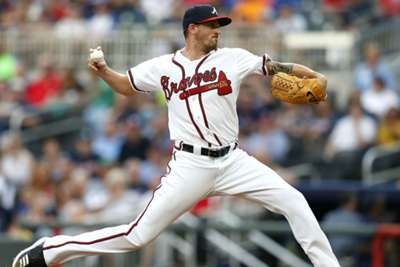 Braves starter Gausman threw eight innings and allowed just one run while striking out eight to pick up the victory. Atlanta acquired Gausman from the Baltimore Orioles at the trade deadline. Outfielders Ender Inciarte and Nick Markakis combined for seven RBIs to lead Atlanta's offense. Third baseman Johan Camargo also drove in a pair of runs. Brewers starter Freddy Peralta lasted just three innings and allowed seven runs in the losing effort. Four Milwaukee players struck out twice each. The win moved the Braves to 63-50 for the year, while the Brewers fell to 66-53. New York Mets starter Zack Wheeler threw seven innings, allowed just two runs and struck out eight in his team's 6-2 win over the Miami Marlins. 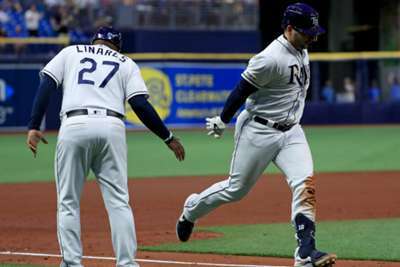 Blake Snell threw five perfect innings and struck out six against the Toronto Blue Jays, who were routed 7-0 by the Tampa Bay Rays. New York Yankees starter Masahiro Tanaka surrendered six runs and three homers in five innings on the mound against the Texas Rangers, who were 12-7 winners. Alex Avila went 0 for three with two strikeouts in the Arizona Diamondbacks' 3-0 loss to the Cincinnati Reds. Adrian Beltre hit his 469th career homer in the fourth inning against the Yankees. He passed Chipper Jones to move into 33rd on MLB's all-time home run list. The Nationals and Cubs will continue their three-game series at Wrigley Field on Saturday. Tanner Roark is set to start for the Nationals, while Jon Lester will take the mound for the Cubs.